In the 1930’s, thousands of Jewish professors were kicked out of German universities, simply because they were Jews. Today in America, Jewish professors are threatened with being thrown out of scholarly conferences, prevented from publishing in scholarly journals, and denied research or employment opportunities, simply because they are citizens of the Jewish state. Today’s academic boycott of the Jewish state and its scholars is no less antisemitic than the academic boycott of Jewish scholars in Germany 70 years ago. Academic boycotts of Israeli academic institutions and scholars, like virtually all anti-Israel Boycott, Divestment, and Sanctions (BDS) campaigns within the last several years, have been established in response to the Palestinian political call to join the BDS movement against Israel. That call was issued in 2005 by a coalition of Palestinian organizations that included the terrorist organizations Hamas and the PFLP, and its purpose was to facilitate the elimination of the Jewish state. It is not surprising that most of the American founders of academic boycotts of Israel have publicly expressed their opposition to the Jewish state. Hannah Rosenthal, the former U.S. State Department’s Special Envoy to Monitor and Combat Anti-Semitism, has unequivocally condemned academic boycotts, saying: “when academics from Israel are boycotted – this is not objecting to a policy – this is anti-Semitism.” In addition 446 American University Presidents signed a statement published in the New York Times entitled “Boycott Israeli Universities? 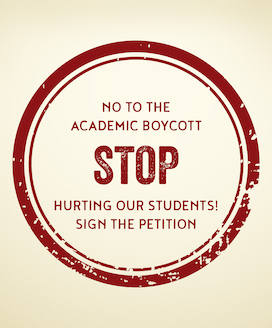 Boycott Ours, Too!”Alarmingly, more than 1,000 faculty members at over 300 US colleges and universities have endorsed an academic boycott of Israeli universities and Jewish Israeli academics. (You can see the names of the academic boycott supporters at each university in AMCHA’s Academic Boycott Map). Even more disturbing is that well-known academic organizations are embracing the academic boycott of Israel. Last April, the general membership of the Association for Asian American Studies (AAAS) unanimously approved the resolution put forward by the AAAAS National Council to endorse the boycott of Israeli universities. On December 15, the 5,000-member American Studies Association (ASA) approved an anti-Israel academic boycott resolution put forward by the ASA National Council. 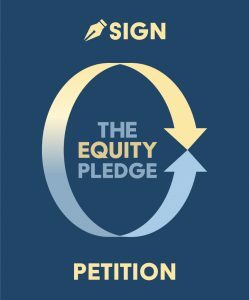 The ASA’s recent endorsement of the academic boycott of Israel has drawn scathing criticism from many organizations, including the American Association of University Professors, the Anti-Defamation League, the Simon Wiesental Center, Zionist Organization of America, American Jewish Committee, Scholars for Peace in the Middle East, and Stand With Us. In addition, two universities — Penn State Harrisburg and Brandeis — have officially withdrawn their membership from the American Studies Association, after the ASA’s endorsement of the academic boycott of Israel. However there are 83 colleges and universities that are still institutional members of the ASA.